In Asia, ICCAs are characterised by a large diversity of ecosystems matched by an equally impressive diversity of culture-based approaches of their custodian indigenous peoples and traditional local communities. The customary governance and management rules, institutions and practices of such peoples and communities are based on profound ecological knowledge and embedded in cultural and spiritual relationships. Few countries in the region, such as the Philippines, do recognise ICCAs. In others, like Indonesia community conserved area are well in the process to receiving more appropriate recognition at national level. In many other countries, however, ICCAs remain unrecognised, unsupported and under threat. Destruction and damage have taken place or are threatened to happen because of land and resource grabbing for logging, mining, monoculture and bio-fuel plantations, nuclear waste dumping or even forced evictions or resource rights deprivation because of protected areas. Big infrastructure construction like roads, dams and harbours also risk to destroy community resources and being carried out without proper FPIC. The Palawan communities of the Philippines are fighting against palm oil plantations; the Dongria Konds of Niyamgiri hills and Madia Gonds of Surjagad hills in India are fighting to save their sacred forests from mining; the Tao people are fighting against nuclear waste dumps on their island of Pongso no Tao (Taiwan, province of China); the forest communities are fighting against limestone mining in Dhading district (Nepal)… these are just a handful of examples of the thousands of cases across the region. In South Asia, communal lands and territories have been nationalised and taken over in almost all forested lands in India, Nepal, Bangladesh and Sri Lanka. Policies obstructing nomadic and pastoralist tribes’ ways of being and promotion of their sedentarization in the last 100 years have caused enormous livelihood, ecologic and land tenure problems in Iran. Territories and areas of indigenous peoples and local communities in the region have been militarised to facilitate land and resource grabbing, unleashing systemic, state-sponsored oppression, and violation of human rights. Risks that arise from cultural weakening are also related to forced and/or slow and systemic cultural and religious assimilation. Some countries in the region, such as India and Bangladesh, do not recognise the term “indigenous peoples”, making many international obligations and mechanism pertaining to indigenous people ineffective… In other countries, such as Taiwan (Province of China), the government does recognize “indigenous peoples” but has not yet restored their inherent self-determination and land rights. 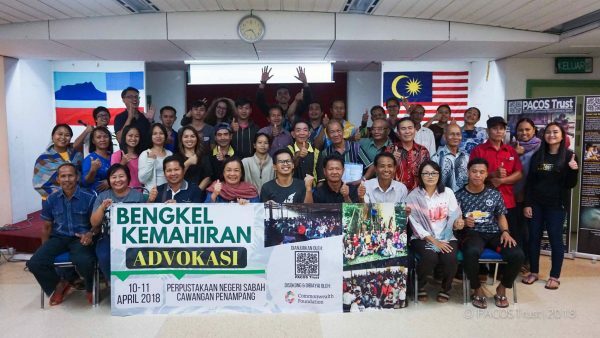 Responding to the threats faced by ICCAs in the region, grassroots movements of indigenous and local communities have been fighting for their rights including rights for self-determination and land and natural resource governance. Such assertion has opened up important legal spaces for ICCAs, as in the case of the Scheduled Tribes and Other Traditional Forest Dwellers (Recognition of Forest Rights) Act of 2006 in India or the ICCA policy (and impending ICCA-dedicated legislation) in The Philipines. The former has helped many ICCAs, such as Mendha Lekha in Gadchiroli (Maharastra), to gain legal recognition over their de facto ICCA. 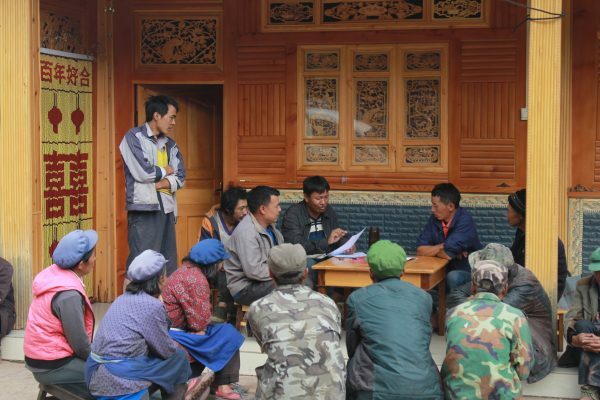 In Sagarmatha National Park (Nepal), Sherpa communities manage their ICCAs through the traditional system of Shinggi nawa (voluntary forest protection) totally independently of government recognition and support. After the President of Taiwan, province of China, issued a formal apology to its indigenous peoples for the colonial crimes of the past four hundred years, five tribal communities self-declared their own collective rights and responsibilities to govern and conserve their traditional territories for the future generations. 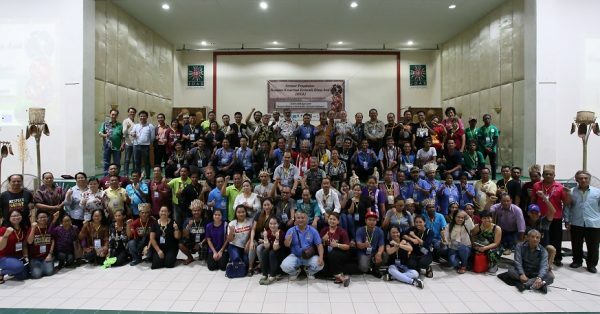 In Indonesia, the Working Group on ICCAs Indonesia (WGII) has been documenting over 150,000 hectares of ICCAs and three ICCAs have received a presidential decree as ‘customary forest for conservation’ in 2016. The ICCA Consortium has supported the efforts and struggles of indigenous peoples and local communities by supporting the constitution of ICCA networks such as the Bukluran, Inc. Federation of the Philippines, the UNINOMAD and UNICAMEL Federations in Iran, the Working Group on ICCAs in Indonesia, the ICCA Network of Nepal and TICTU in Taiwan, province of China. These networks are slowly but surely managing to enhance the collective standing and rights of on indigenous peoples and related natural resources legislation. The Consortium has also been providing a support towards documentation of ICCAs and the strengthening of their customary governance institutions and opportunities for ICCAs to come together to share experiences and fight against impending threats.